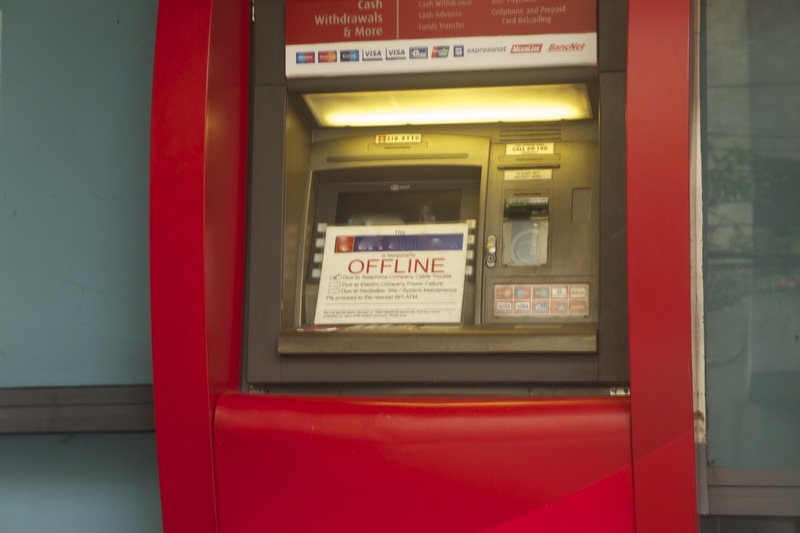 The introduction of Automated Teller Machines and direct deposit payroll accounts are two of the most important services that transformed the payroll process forever. My father used to tell us stories of long lines to the cashier's windows every payday. That's definitely lost productivity for the company twice a month - 24 times a year. With ATMs and direct deposit payroll accounts, employees were given the freedom to claim their salaries without the long queues and choose the time when they will withdraw that money - supposedly 24 hours a day, 7 Days a Week. This weekend was payday weekend. The city's working class are all excited to withdraw their money and they trek to the nearest ATM - just to find this sign.